Home News Grand Theft Auto: Tesla Boasts Impressive Stolen Car Recovery Rate. Really? That’s an amazing statistic, isn’t it? But then I realized that averages aren’t always indicative of the real truth. Sure, that 1987 junker that was stolen from your neighbor was never recovered, but there’s no money in that sort of theft. At best you’d get scrap metal value if you stripped it. Besides, it’s not like he’ll get a windfall from the insurance company. The real money is in stealing expensive cars like the Mercedes-Benz C-Class or the BMW X-Series. Or maybe a Tesla. But the thing that a lot of auto thieves seem to have missed about stealing a Tesla is that it’s darn tootin’ hard to take it anywhere. GPS systems are constantly tracking the car, as with GM’s OnStar system that has helped the cops trace about 100,000 vehicles in the last 20 years. But it’s not just that with Tesla’s EVs. For one thing, it’s notoriously hard to recharge the vehicle at a supercharger station if you’re not the owner. You’d have to have access to the Tesla account of the car’s owner in order to access the linked credit card, and it’s not like you can simply plug it into a wall outlet at home because you’d need a wall connector. 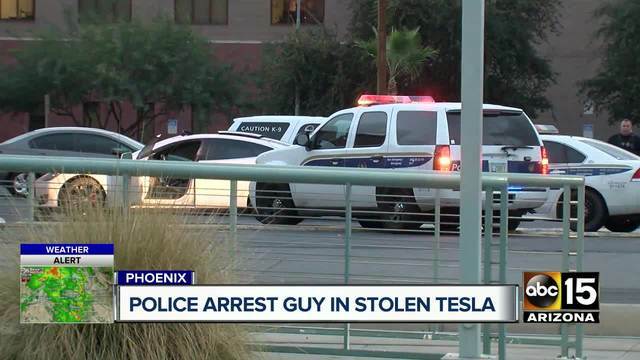 So it’s hard to steal a Tesla and do anything with it except maybe have it stripped and the parts sold before the cops get there. And you’ll have to do it before the owner realizes it’s stolen and disables the car, leaving you sitting in the middle of the road in a disabled Tesla waiting for the cops to arrive. But we have to take other things into consideration. As sophisticated as modern luxury cars are becoming, the bad guys are in constant training as well. Put simply, luxury cars offer the most return on investment from a thief’s viewpoint. Another point to note is that there are only a few hundred thousand Teslas out there at the moment, while the broader stolen car market covers multiple brands and models that have been around for years. In the coming years, we’ll see how well a Tesla can fend off a thief or facilitate being found by law enforcement authorities. But for now, we’re looking at one of the highest recovery rates in the world for any car – luxury or otherwise. While that’s good news for Tesla owners everywhere, the time of testing is yet to come. When every fifth car on the road is a Tesla, the guys in black will have the matching technology to handle everything from one-key disabling to advanced vehicle tracking. It’s just that there aren’t enough of them on the road right now for thieves to invest that kind of money just to get a few spare parts. But that’s just in America. The story is not as rosy across the Atlantic, in Europe. Last year, the Dutch police once reported nine Teslas stolen in a week. The interesting part is that they also said the cars were taken apart within two hours of being stolen. And the thieves seem to have the tech as well. If the phone can be stolen along with the car, they simply remove the SIM. In some cases, GPS tracking blockers were used. So, it’s not really that Teslas are more recoverable than other cars. It’s just that there’s not much talent out there in the thieving market to handle taking on a Tesla. But that won’t be for long, as the Europeans have shown.